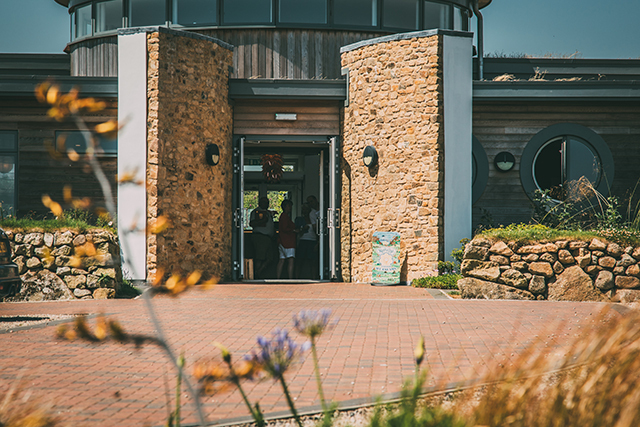 Una is a holiday resort near St Ives, with stylish eco-lodges and a smart central spa and restaurant, all set in the countryside above Carbis Bay. 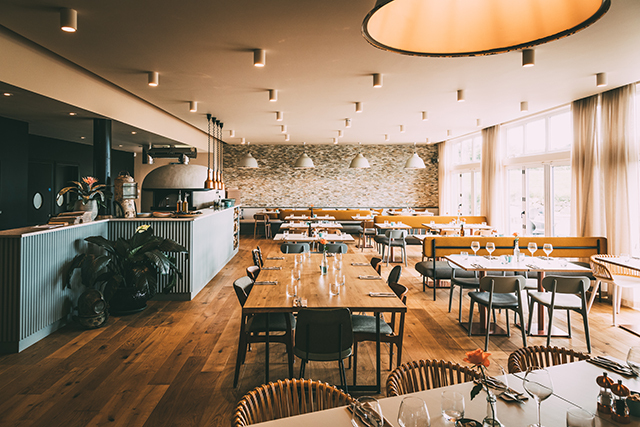 We were invited to try out the Dip & Dine package, whereby guests can enjoy use of the swimming pool when booking a meal in the restaurant, Una Kitchen, for lunch or dinner. 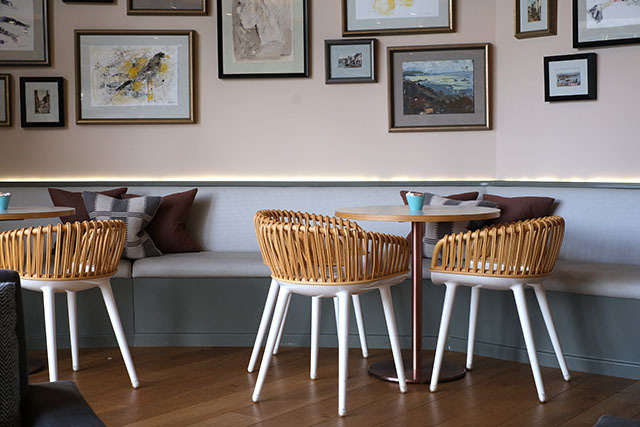 Dip & Dine currently runs on Thursdays and Sundays; from 11 February 2019 it is available on Thursdays only. For full details and to make a reservation see here. Upon arriving at Una’s main reception we were led through the spa to the changing rooms. There is also a well-equipped gym (with day passes and membership packages available) and the spa offers a wide selection of treatments. The beautiful pool is 15m x 12m, long enough for swimming lengths, and wide enough that there’s plenty of space for children to play. 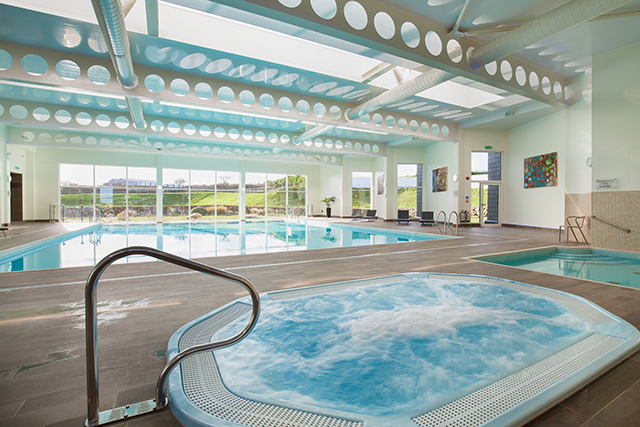 There’s also a children’s pool, just 45cm deep, as well as steam room, sauna and hot tub. We all enjoyed our time in the pool (no photos! ), the children mainly swimming and playing, while we swam a few lengths before relaxing in the Jacuzzi. Once dried and dressed we headed to the restaurant. It’s beautifully decorated, warm and comfortable. There’s a bar area, and a relaxing corner with sofas and arm chairs, and I was particularly taken with the gorgeous artwork which adorns the walls throughout the building. 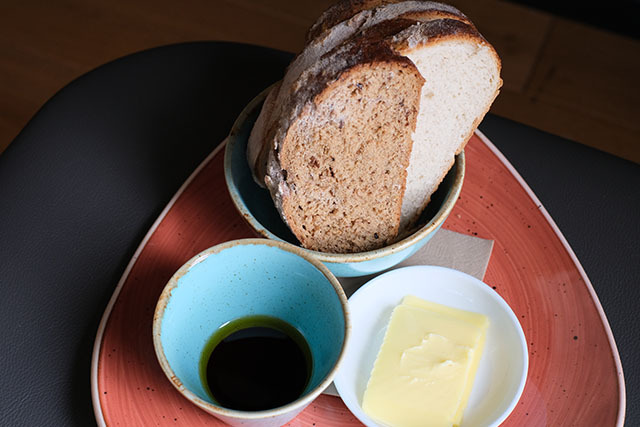 We were starving after our swim so started with a bowl of Una’s super fresh homemade bread, soft salted butter, and olive oil and balsamic. 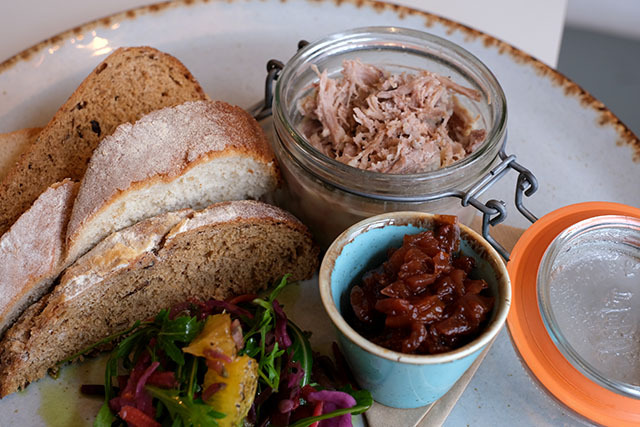 We also ordered a portion of duck rillettes – this was a starter but was plenty for two to share as a starter, or to have as a light lunch – which was very tasty, and was accompanied by a red onion and orange chutney and lovely fresh, zingy salad. 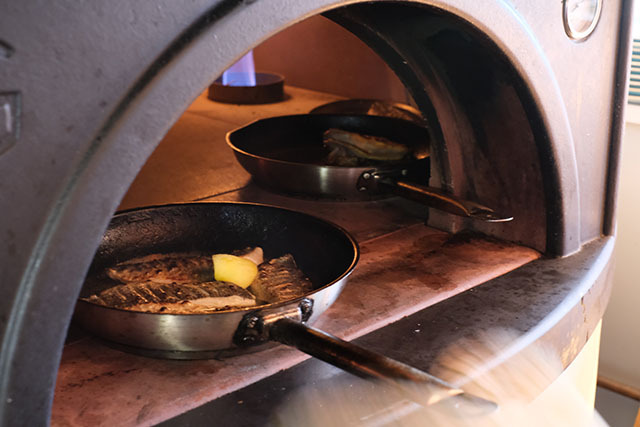 Most of the cooking in the restaurant is done in their handsome wood-fired oven, which dominates the room. I opted for the wood-roasted sea bream fillets, which were beautifully cooked and perfectly seasoned, with lovely salty crispy skin and succulent flesh. 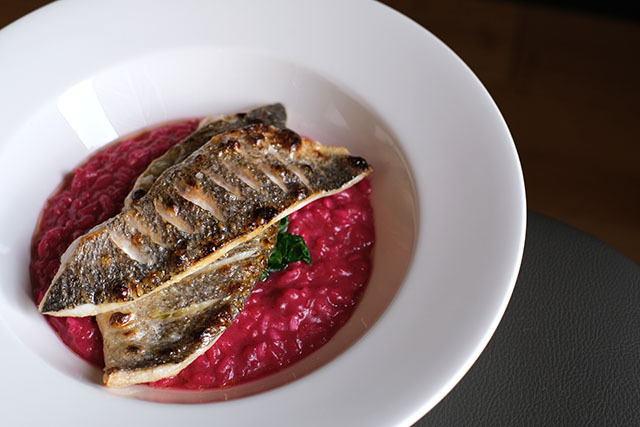 The fish was served on some wilted spinach, atop a generous helping of deep pink beetroot risotto, which tasted even better than it looks. We visited on a Sunday, so had the option of a wood-fired lamb, beef, or pork roast, as well as a homemade nut roast. The portions, again, were generous, and the meat lovely and tender. 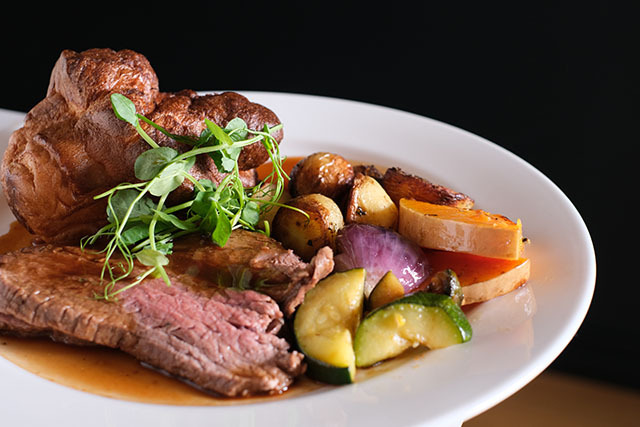 All the roast options were served with a Yorkshire pudding along with bowls of al-forno baby potatoes, wood-roasted Mediterranean vegetables, and braised red cabbage. 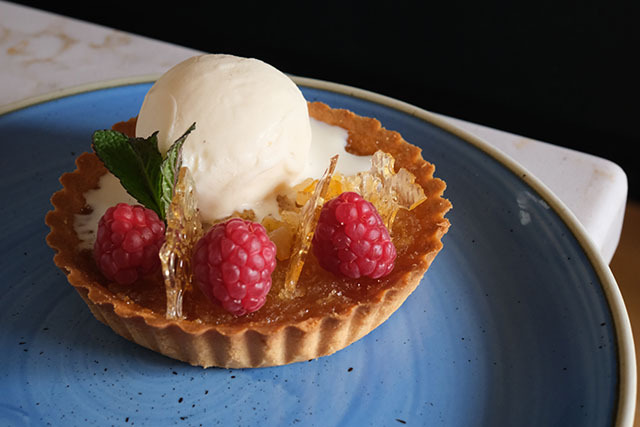 The treacle tart was so pretty, decorated with rapsberries and sugar tuilles. 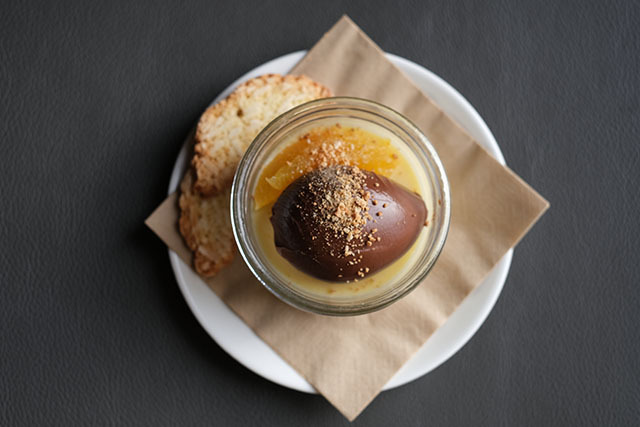 The pastry was crisp, and the filling had a delicate citrussy note. 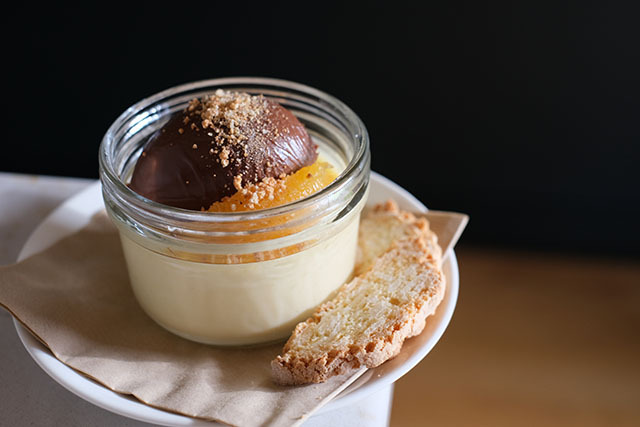 My pudding was a rather gorgeous white chocolate and orange mousse, such a lovely combination, especially when paired with the fresh orange segments and dark chocolate ganache. Pricewise, starters ranged from £4 to £9, roasts were £12 for adults and £7 for children, the sea bream was £16 and puddings were £6.50 each. 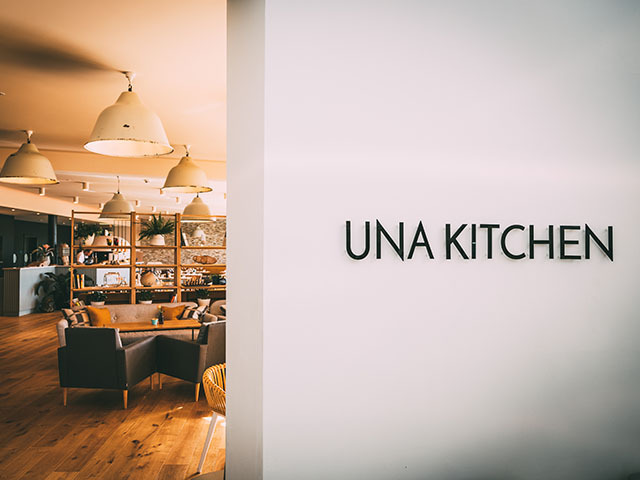 Disclaimer: We were guests of Una Kitchen, and our food was free of charge. Thank you to the team for looking after us so well. For more information about Una, please visit www.unastives.co.uk. 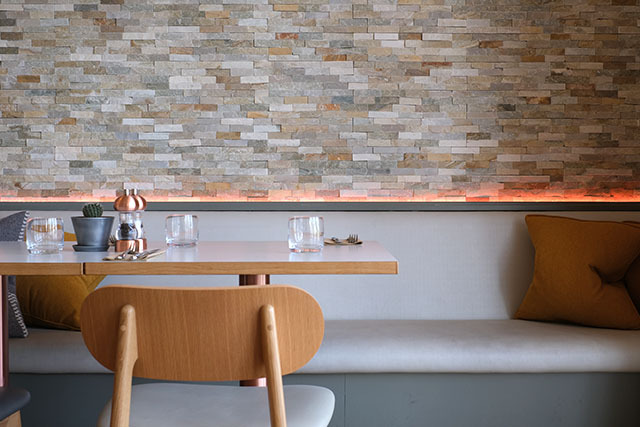 Photography credit: Jim Michell (food and interiors) and Una (leisure facilities, restaurant and exterior shot).